Tobacco smoking is a major risk factor for cardiovascular disease, one of the leading causes of death not only in Kenya but globally. Smoking raises the risk of developing many persistent health problems, including atherosclerosis, a condition in which fatty deposits build up inside arteries, thereby raising the risk of stroke and coronary heart disease. The risk of heart disease in smokers is double that of non-smokers. According to the World Health Organisation (WHO) the top three causes of death in 2016 globally were, coronary artery disease, stroke and chronic airways disease, all significantly associated with smoking of tobacco. The latest WHO estimates show that more than 7 million people worldwide including 8,100 Kenyans die every year from tobacco related diseases. This figure includes around 900,000 deaths from exposure to second-hand smoke. 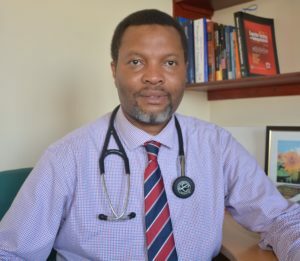 For this year’s World No Tobacco Day themed ‘Tobacco and Heart Disease’, the WHO seeks to increase awareness on the link between tobacco and cardiovascular diseases, including stroke, calling for increased private and public participation in sensitizing the public on the dangers of smoking to avert related deaths. Smoking is a common addiction with which many people worldwide struggle, similarly to addictions to illicit drug use and gambling. Smoking cessation clinics are a useful strategy in promoting cessation and helping smokers to quit. Since its inception in 2012, the Smoking Cessation Clinic at Aga Khan University Hospital has helped scores of tobacco addicts to quit the habit and save themselves from smoking related diseases. “We have a variety of non-addictive prescription medications that ease the yearning for nicotine. Some of them include nicotine patches, nicotine gum, nicotine nasal spray and inhalers. The type and dose of these medicines are tailored to the patients’ circumstances.” Dr Bwika elaborates further. Besides heart disease, smoking is responsible for other life shortening diseases including cancers affecting the throat, mouth, nasal cavity, oesophagus, stomach, pancreas, kidney, bladder, and cervix. Stroke and impotence in men are other notable smoking related complications. Smoking also causes bad odor and loss of taste with a counter-productive reduction in quality of life. Even though Kenya has made significant progress on tobacco control in recent years, tobacco smoking continues to, not just claim many lives but also reduce the productivity and physical independence of even more, with huge resultant costs on the national economy. Rolling out Smoking Cessation Clinics at the county level can greatly help people quit smoking and ultimately relieve the Government health spending on treatment of smoking related diseases. Indeed, as one of the African countries with the highest penetration of mobile phone use and uptake of social media use, we can do a lot more to improve smoking cessation awareness awareness and engagement.